I’ve spent the last two weeks in Kilkee, Co Clare – a place rather dear to my heart. Five generations of my family have holidayed in this place that grew from small village to a Victorian watering hole with seaside ‘lodges’. Now, as when I was young, people come to Kilkee for the great beach, cliff walks, and rock pools … as well as the hurdy-gurdies, candy floss and ice cream. And just before I leave, I want to thank everyone for being so welcoming and for throwing me in at the deep end (HAH!). I ended up gathering, writing and reading three news bulletins a day and also participating in the daily ‘Everything Goes’ show. And I put together a little package about writer Emily Lawless and her Wild Geese Poems that mention Clare and Corca Baiscinn. 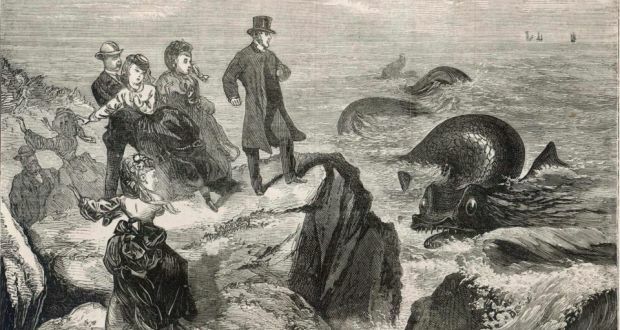 Hell, even the Kilkee Sea Serpent raised its briny head again this week! 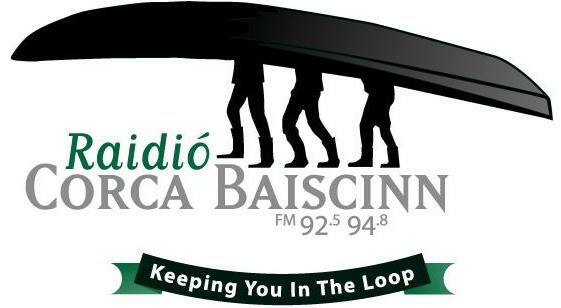 You can read an article about the station manager Áinemae in this week’s Clare Champion here. From this radiohead to Áinemae and all the radioheads of West Clare: thanks so much, lads. It’s been a great experience.